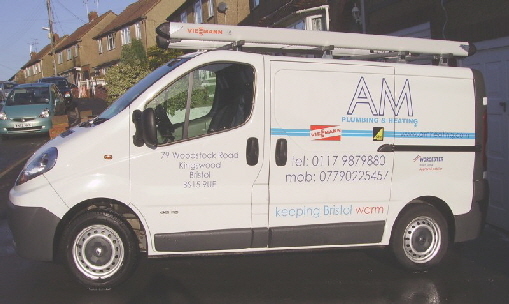 Tony is the founder of AM Heating, an established company situated in Bristol covering the Bristol and Bath area and anywhere within a 20 mile radius. Tony has been in the 'plumbing' industry for many years and offers a friendly, personalised service and is happy to supply quotations without charge. 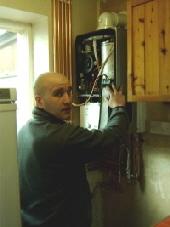 Tony checking that the installation of a new gas boiler meets the regulations.